Nyhavn, which translates to "New Harbor," is one of the most prominent images evoked whenever people think of Copenhagen. Its iconic bright-colored buildings were rebuilt to reflect their original appearance. 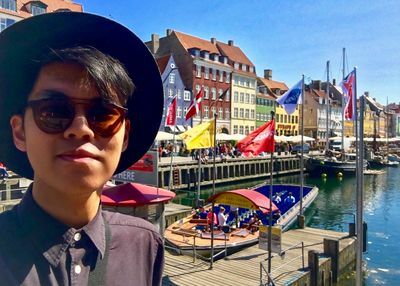 Garcia, Paolo, "Selfie at Nyhavn" (2016). Study Abroad Photo Contest. 56.